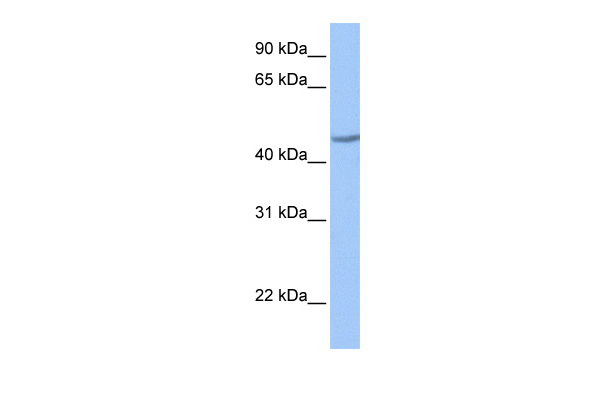 Western Blot analysis of ZNF485 expression in transfected 293T cell line (H00220992-T01) by ZNF485 MaxPab polyclonal antibody.Lane 1: ZNF485 transfected lysate(44.22 KDa).Lane 2: Non-transfected lysate. 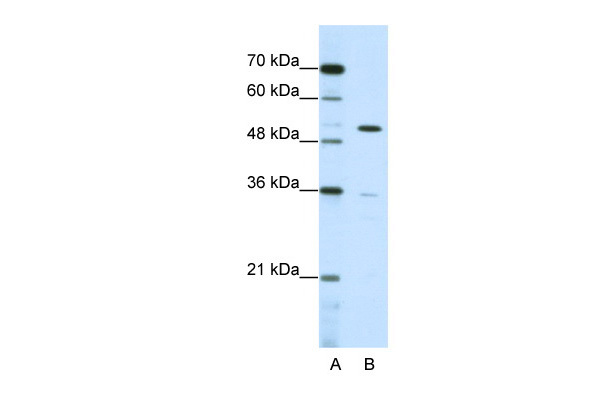 Western Blot: ZNF485 Lysate [NBL1-18163] - Western Blot experiments. Left-Control; Right -Over-expression Lysate for ZNF485. 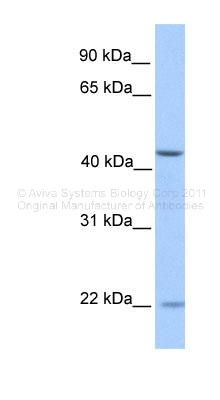 Western blot experiment using ZNF485 Antibody (GTX118974) at 1:90000 dilution to detect 100ng of 30kDa recombinant ZNF485 protein antigen.